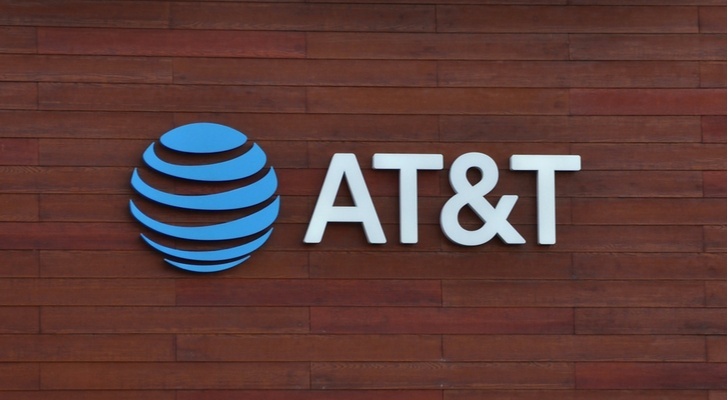 AT&T (NYSE:T) reports earnings on Wednesday morning – and it looks like an important release. From a multi-year standpoint, AT&T stock has been a huge disappointment. T stock hasn’t moved in about six years. For that to change, AT&T earnings on Wednesday need to be solid. And the AT&T earnings report isn’t going to be just about the numbers. The conference call will receive a lot of attention as well. The third quarter will be the first quarter in which WarnerMedia contributes in full. An AT&T streaming service reportedly is on the way next year and will enter a suddenly crowded marketplace. The consumer wireless industry, meanwhile, still looks stagnant. Investors will want to see both how the company performed in what I’ve called a “circular firing squad” and what plans AT&T has to take back share from rivals Verizon Communications (NYSE:VZ) and T-Mobile (NASDAQ:TMUS). There will be a lot to unpack. And while I’ve long been skeptical toward T stock, the Q3 report could create some optimism. But AT&T needs to deliver, both in terms of the number and the strategy going forward. It looks like analysts are expecting AT&T earnings to be a blowout. Street consensus projects a nearly 15% increase in revenue and EPS of $0.94 against $0.74 the year before. Of course, much of the growth is coming from the Time Warner acquisition, along with some help from a lower U.S. corporate tax rate. And so it’s likely investors will focus on the performance from the legacy business. There are concerns across the board. As I wrote at the time, Q2 wasn’t good enough. AT&T stock has to show some progress in two key areas. DIRECTV continues to lose subscribers. OTT service DIRECTV NOW is growing but at a lower price point and lower margins, the shift isn’t positive. Video Entertainment revenue dropped 9% year-over-year in Q2. That figure isn’t going to turn positive in Q3; but some progress would be welcomed. DIRECTV NOW, in particular, needs to show it can compete against offerings from rivals like Hulu and Alphabet (NASDAQ:GOOGL,GOOG) unit YouTube. The wireless business, too, needs to improve. The company lost postpaid subscribers on a net basis in both Q1 and Q2. With the potential merger of T-Mobile and Sprint (NYSE:S) possibly causing disruption at those two companies, Q3 has to be better. Will the Story Behind T Stock Change? And if the numbers are better, Q3 could represent something close to an inflection point for AT&T stock. There’s an attractive story here if AT&T can convince investors that it can drive growth. The 2018 EPS is guided to close to $3.50, implying a roughly 9x P/E multiple. T stock also yields 6%. Both figures are highly attractive particularly for the kind of defensive stock to which investors rotate during market uncertainty. And the Time Warner acquisition creates a number of options for AT&T. The much smaller acquisition of ad-tech firm AppNexus this summer highlights the strategy. AT&T wants to use customer data gleaned from existing relationships to sell more and better services to those customers. Unlike Alphabet or Facebook (NASDAQ:FB), however, AT&T isn’t selling that data. It’s using it both to advertise to customers – and to keep those customers from leaving, whether in wireless, broadband, or video. It also gives the company a built-in base on which to grow its Warner-backed streaming service, which I expect management to detail on the post-earnings conference call. With the acquisition spree now over, it’s up to AT&T to provide a compelling long-term vision to investors. Certainly, T stock is cheap enough that if management highlights a path to growth, investors will be interested. So there’s an opportunity for AT&T on Wednesday. But even at these prices, I’d like to see some strength in the numbers and a compelling outlook before turning bullish. AT&T has been a long-term disappointer. It’s not winning in wireless. It’s not winning in video. The Time Warner acquisition is an intriguing move, but it also loaded up the AT&T balance sheet with debt. And with T stock up almost 10% from the lows, there are some expectations built into Q3. If AT&T shows further declines in wireless and video, that debt looks like an anchor. In this market, an AT&T stock that looks over-leveraged and negative-growth easily could head back down toward $30. Again, there’s a path to upside here. But AT&T needs to take a step down that path first. It can do so on Wednesday morning. Whether it will is a different story. Article printed from InvestorPlace Media, https://investorplace.com/2018/10/att-stock-ahead-of-earnings/.